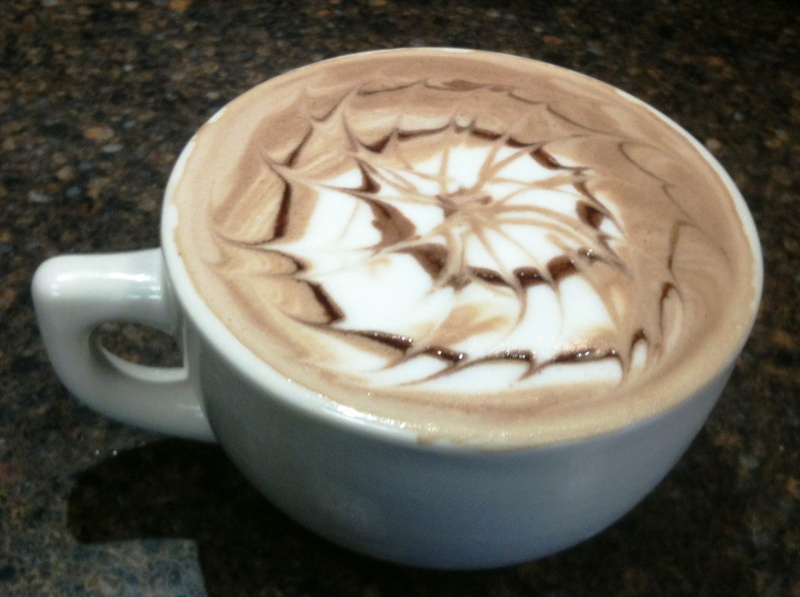 This is a Coconut Mocha latte made by Vanessa, a barista at Grouchy John's Coffee Shop. Not only does it taste amazing, with just the right balance between the chocolate & the coconut, but, you have to admit, it also looks great. This fun piece is entitled, appropriately, "Dog," and is by Tommy Vinci, a local Las Vegas artist whose work has been flying off the walls of Grouchy John's Coffee Shop. Come on down and check out his brilliant paintings! He also does custom work and may even help us out designing some swag. Made with Trader Joe's Cookie Butter, vanilla, honey, and a pinch of salt, this rich, savory beverage carries strong undertones of gingerbread without the cloying sweetness of most drinks that have this much heft. 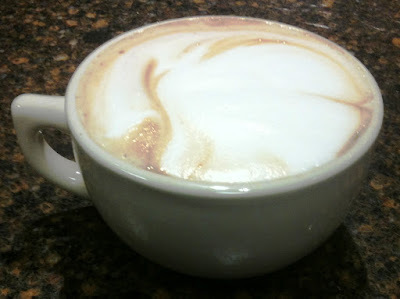 It's a wonderful way to start your Friday! And, for now, they're only available at Grouchy John's Coffee Shop. I'm getting my Monday kicked off with an Iced Americano - a double-shot of espresso topped with ice and cold water, with a splash of nonfat milk. 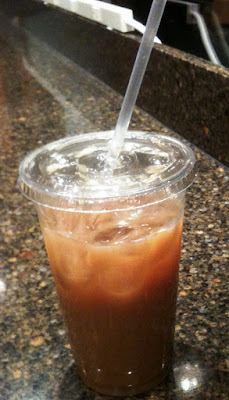 Add the sweetener of your choice (mine was a pump of peppermint syrup), and you've got a nice, cool morning booster shot! 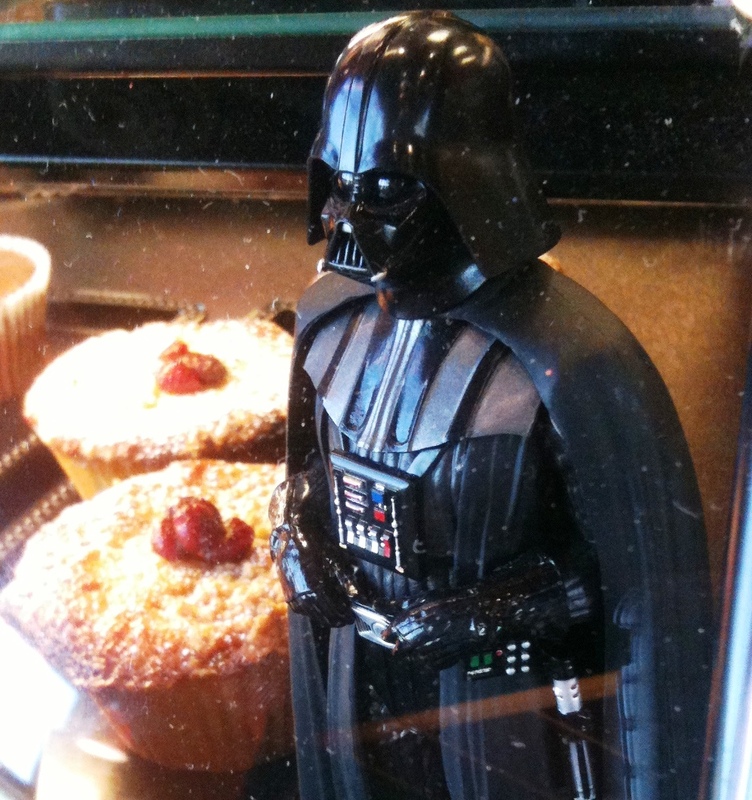 "You underestimate the power of Bread & Butter's Cranberry Orange!"